Jump out of the Battle Bus and jump into more than eight hundred side-splitting jokes! Jump out of the Battle Bus and jump into more than eight hundred side-splitting jokes! 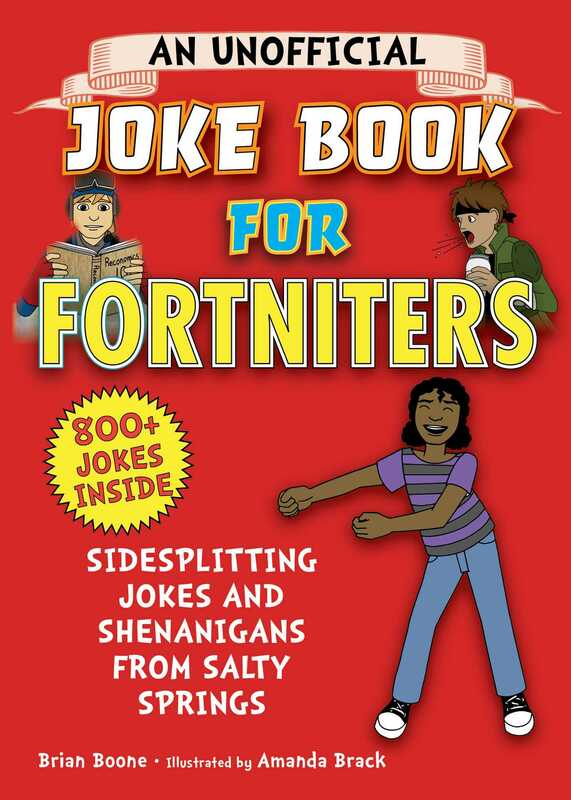 Jokes for Fortniters is an all-new, laugh-out-loud book of jokes for you and your squad. From Battle Royale puns and wordplay to funny one-liners that will have you dancing, this hysterical book has the cleverest jokes about Fortnite and game play. Cackle your way to victory with the funniest, craziest, and silliest jokes you can fire off to everyone on the island! What do a door and a new Fortnite player have in common? They both get “knocked” a lot. What happens after you drink too much Slurp Juice? What kind of pop should Fortniters never drink? For kids ages eight and up, this is the perfect book for at home, at school, or any battle royale! You’ll enjoy telling these silly jokes to your friends and family. Get extra laughs from silly illustrations throughout! Brian Boone wrote the music trivia (with jokes) book I Love Rock ‘n’ Roll (Except When I Hate It). He is a regular contributor to Funny or Die, Popdose, Splitsider, and The Retroist, and his work has appeared on McSweeney’s Internet Tendency, Adult Swim, The Impersonals, and the Huffington Post.